Did you know that strawberries are not berries at all? What a shock this little known fact was to me! It was even more of a shock when I found out that avocados and bananas are actually berries! It’s true! I read it on the Internet; therefore, it must be true!!! Strawberries are not really berries, but watermelon, pumpkins, bananas, and avocados are. It’s ok. Take a few deep breaths. On those cold dark December mornings when you don’t feel like getting out of bed or going into the garden to do some winter cultivating, just think about this picture and the result of tending the gardening, no matter the season. There’s something that can be done every day. So, if it’s raining or just too cold , then just head over to Totally Tomatoes and check out their seed collection. Maybe you feel like planting a peach tree. H & H Nursery, in Lakewood, has a fabulous collection of bare root trees and blueberry bushes and roses. So, I’m trying to take things out of my life that aren’t bearing fruit. I can waste so much time doing everything except what I need to, so this winter I plan to get my strawberry-growing apparatus built. This little handful of “berries” just won’t do. The sweet taste of a ripe juicy peach from your own tree is worth throwing the covers back, putting on the gardening tool belt and heading outside. 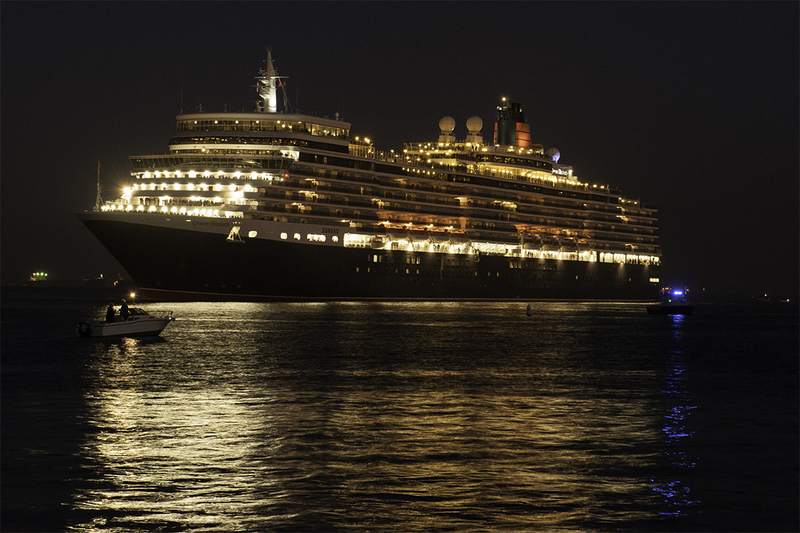 On its way to Puerta Villarta, the Queen Elizabeth ii made time to stop in the Long Beach Harbor to say hi to her sister ship, the Queen Mary. The QEii is a newer version of the old ship, and is very much state-of-the-art. At dusk, escorted by smaller boats, the Fire Boat, the Goodyear Blimp and a few helicopters, the beautiful luxury ocean liner headed bow first right into the harbor. The Queen Mary gave a “hello” horn blow, and QE gave one in return. She stood still for a few photo ops, and then turning on dime, she slowing came to a stop facing the Queen Mary. They each blew customary horns at each other as the crowd on the Queen Mary cheered with excitement. A few minutes of fireworks ended the celebration, and within minutes she was headed back out to sea. I thought it was quite thrilling, as I stood on the shore taking pictures and visiting with other excited onlookers. There are so many events that we can be part of and witness while history is being made right in front of us. “Bigger, faster and more powerful than her predecessor the ship Titanic, the RMS Queen Mary had a long career that included 1,001 successful Atlantic crossings. Built at the John Brown shipyard on the Clyde, Scotland in 1937, the Queen Mary held the record for the fastest-ever North Atlantic crossing, and for three years she carried the rich and famous across the Atlantic in great luxury. During World War II, she carried troops and afterward, she ferried war brides and children to the United States and Canada before returning to service as a transatlantic cruise ship. With gas prices sky rocketing, I can think of no better reason to hang out in Downey on a Friday evening. 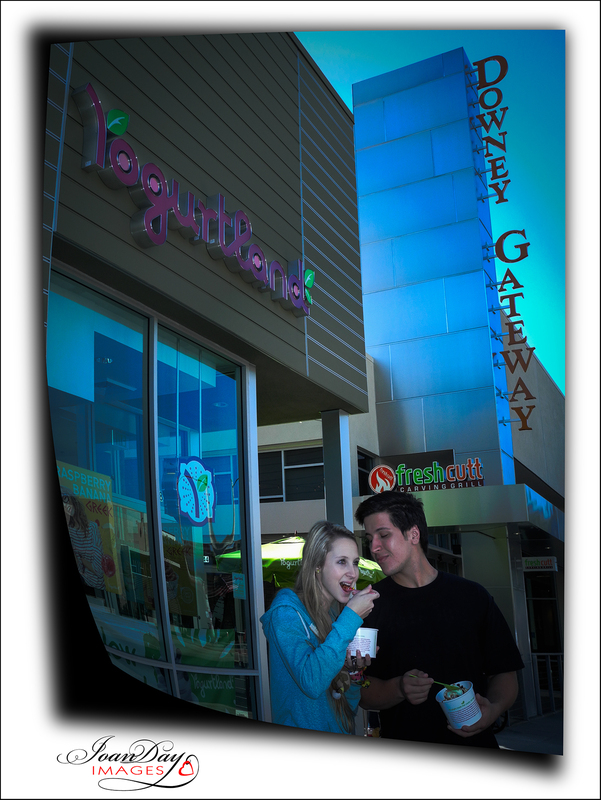 The latest addition to our beautiful city is the new Downey Gateway. Taking up just a small portion of the Northwest corner of Firestone Blvd. and Downey Ave., the new eateries are plentiful. With ample parking in the rear, you can enjoy the soon-to-be-opened WaBa Grill Teriyaki House, Pacific Fish Grill, Burger City Grill, Fresh Cutt Carving Grill, Round Table Pizza, Subway and of course Yogurtland. Only Yogurtland is open as of today, but it won’t be long till hungry pedestrians make their way across the street from the movie theater, AAA and Porto’s Bakery to our new hangout. I recently joined Pinterest. I’m still trying to get the hang of it. 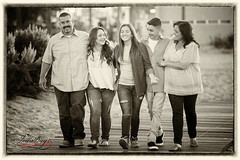 If you would like to join me and help me spread the joy of photography, please feel free to find me there. I am JoanDayImages, of course. Sometimes I have a vision in my head. Where does it come from? It might be just from asking someone a question, like, “What are you going to be for Halloween?” When an idea comes to my head, it stays there until I shoot it. I can’t help it. I just keep thinking about it until I do shoot it. Marissa, a fellow photographer, was planning on being a doll for Halloween. So, this idea came to my mind. We had fun. It was just for fun. Fun, fun, fun! Photography should be fun! I love the creative process, though, right through till the end product. Not much time to write, but worth it to post. 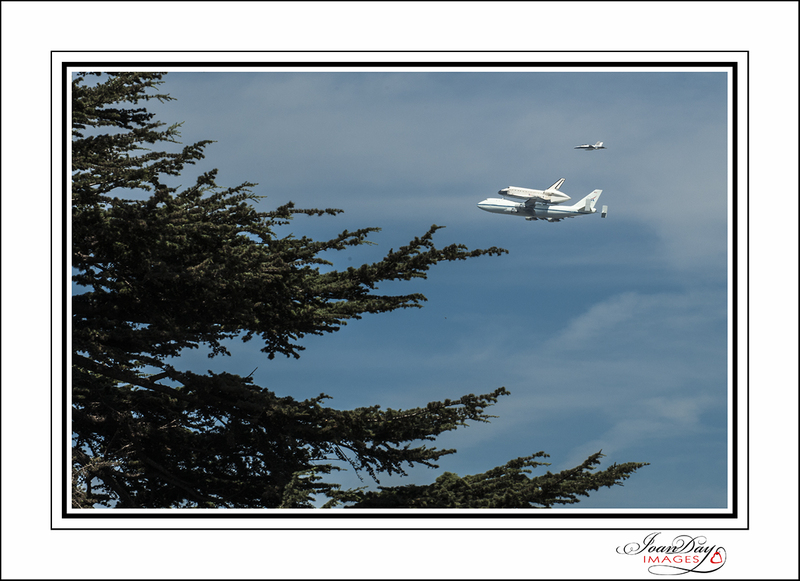 Loved being able to witness a glorious event right in my own front yard…okay, I was in my neighbor’s yard, but it’s just two houses away. I never thought I would be able to see this event. I was at the eye doctor with Granny, and the doctor was taking forever. We dashed out, missed the first fly over, then came home. I grabbed my camera and went to my neighbor’s. I thought we weren’t going to get to see it, when, all of a sudden, she saw it. “Joan, it’s over here!” I new it was going to go between two trees, so I aimed my camera and waited until it came into view. Wow!!! I was so excited. I snapped two or three. That’s all I got. Then it was behind the tree. What an exciting day!!! Finding homes for dogs isn’t my specialty, but I love taking pictures of the animals that need homes for United Hope for Animals. We post their pictures on our Downey Animal Care Facebook page for the LA County Shelter in Downey on Garfield. 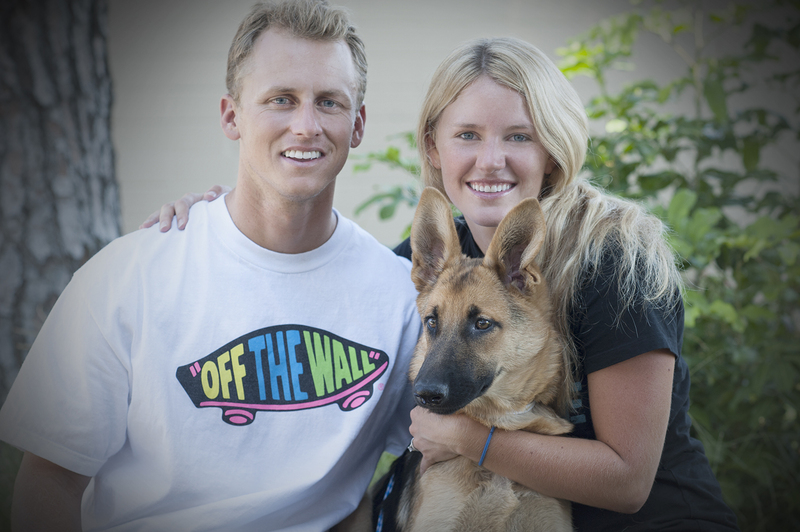 Today, I stopped to chat with Patrick and Keri who were hoping to find their first dog as young married couple. Not exactly ready for children, the ideal first step is get a dog who will be a great running, biking, and Pilates partner. Patrick is a fireman, and thinks it would be great for Keri to have a companion for the times that he is away at work. 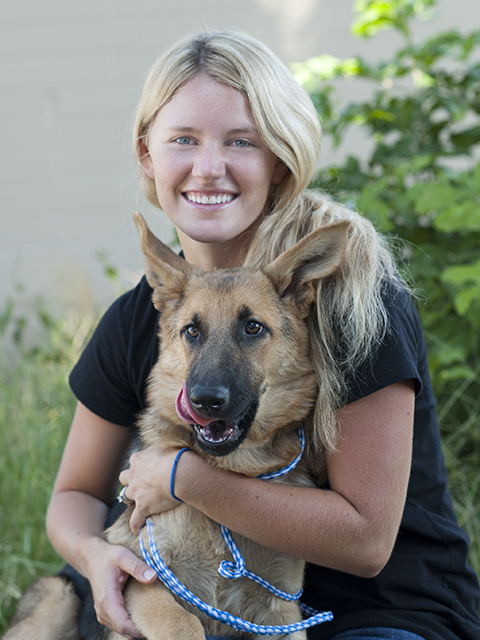 They began their search almost a year ago, but after speaking with those who owned German Shepherds, they soon discovered how smart and gentle and protective they are. So what are the chances they would find one so quickly? Someone in the office at the Downey Shelter pointed them to the website, and wouldn’t you know there were two beautiful sisters under 6 months old, just waiting for a forever home. Their owners were moving, which meant they weren’t strays, and were probably taken care of well. I wanted them to name her Heidi, the name I gave my first dog, a German Shepherd/Lab mix that I got at this very shelter. I sure loved her.